Akashinga is a community-driven conservation model, empowering disadvantaged women to restore and manage large networks of wilderness areas as an alternate economic model to trophy hunting. The program was started in Phundundu Wildlife Area in Zimbabwe’s Lower Zambezi ecosystem. It builds an alternative approach to the militarized paradigm of ‘fortress conservation’ which defends colonial boundaries between nature and humans. While still trained to deal with any situation they may face, the team has a community-driven interpersonal focus, working with rather than against the local population for the long-term benefits of their own communities and nature. Akashinga aims to recruit 1000 women, protecting a network of 20 former hunting reserves by 2025. 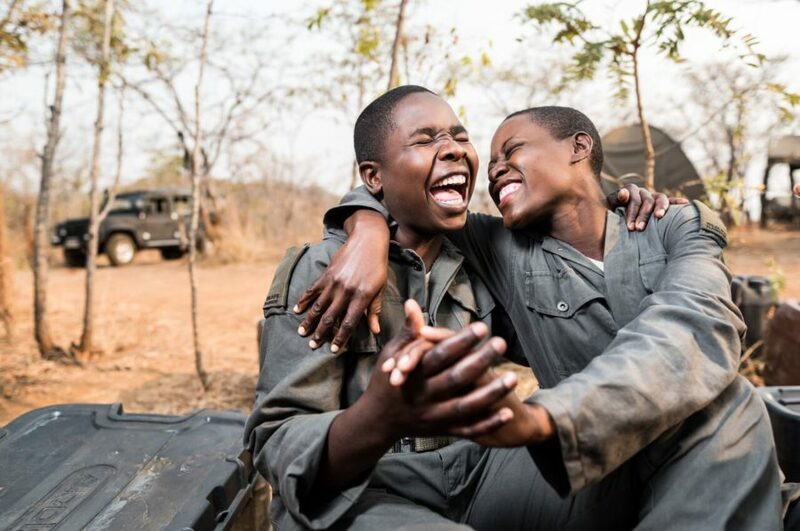 In 2017 Vimbai Kumire heard that the IAPF was recruiting women to be rangers. With her brother’s encouragement she applied and was deployed as a ranger in the pioneering Akashinga team. Since becoming a ranger, she has consistently demonstrated her grit, discipline and leadership, resulting in her promotion to sergeant and squad leader of Akashinga ranger team one. As a single mother of two, she can now afford a home, support her mother and send her children to school.